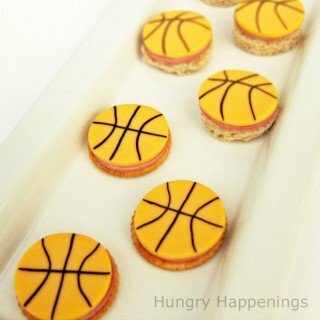 Score big with basketball fans everywhere when you serve them these basketball themed snacks and desserts at a March Madness party. 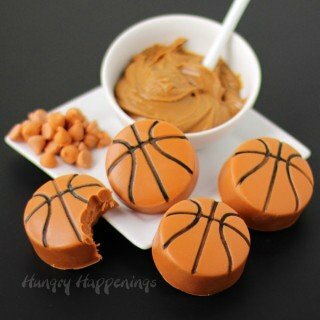 These fun March Madness Recipes will make your party guests cheer. 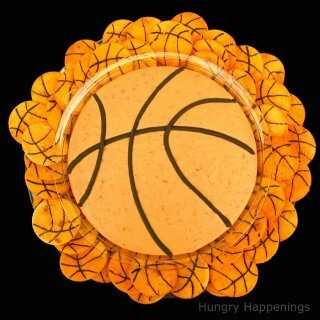 Love basketball? 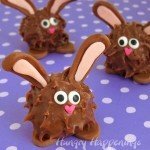 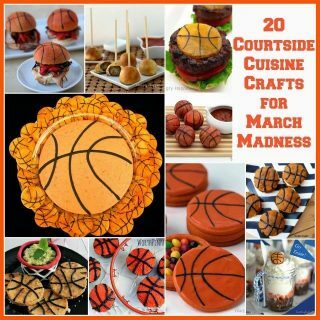 Then these March Madness Recipes will be fun for you to serve at any basketball themed event. 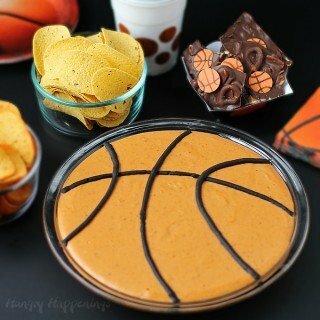 Adult fans will love scooping up Basketball Bean Dip using homemade Basketball Tortillas. 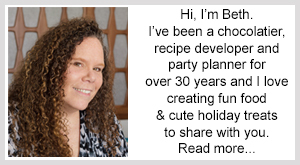 This festive party appetizer is definitely crowd pleaser. 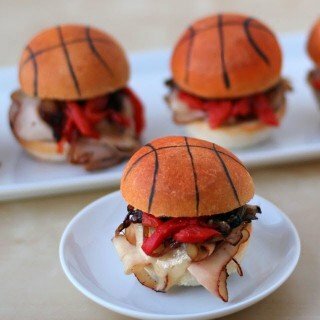 Fans of all ages will also enjoy snacking on Blackened Turkey Basketball Sliders or Mini Cheeseburgers Topped with Basketball Cheese. 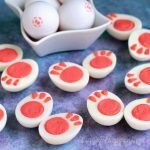 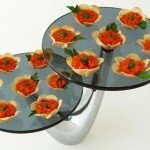 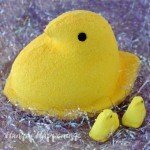 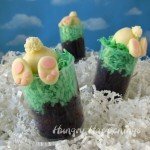 These small party snacks are filling and fun. 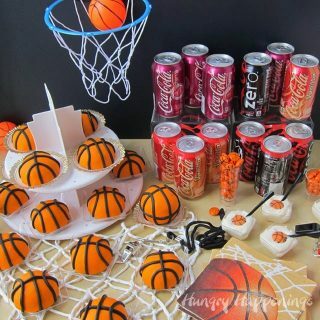 For dessert your party guests will enjoy Cherry Coke Cakes Decorated like basketballs or Candy Filled Basketball Pinata Cookies. 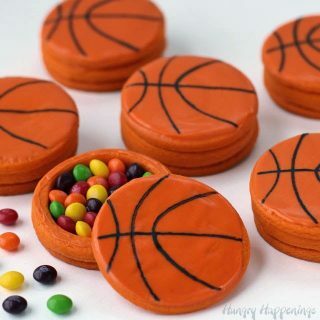 Each of these sweet treats look as good as they taste. 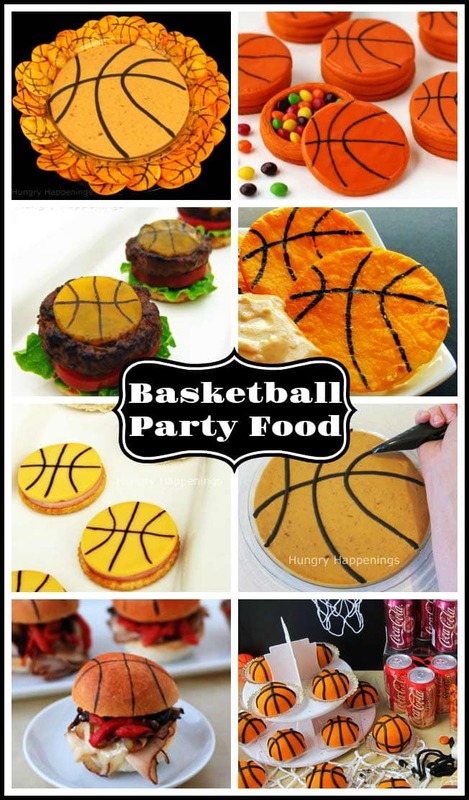 Serve basketball themed food while you watch the NCAA finals. 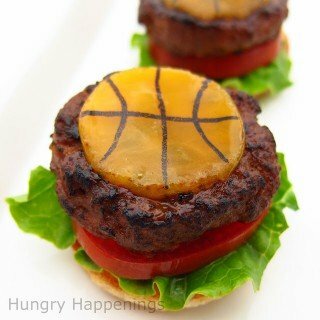 Celebrate March Madness with this March Madness Mini Cheeseburger Recipe! 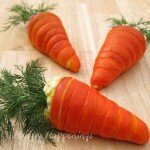 These savory snacks are a great appetizer for any party and are a great way to get the ball rolling on your celebration. 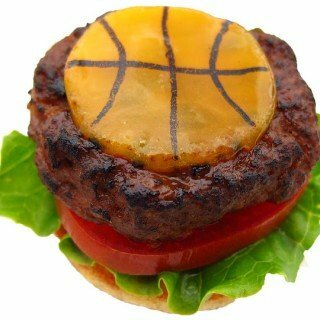 (Picture larger than actual MINI Cheeseburger) Fried potato round topped with lettuce, tomato, mini hamburger, and a melting basketball made of cheddar cheese….